If you would like to use the remote access functionality and access, diagnose and manage the client’s Smart Home Server remotely. 6. Click the drop-down menu, next to the Description “Allow installer to configure the Smart Home Server Remotely”. 7. You will be presented with 3 options: Disabled, Using VPN Connection, Without VPN Connection. Please choose one. 9. If previously selected the “Without VPN Connection” option a new textbox with a generated link will be shown. Note: Click on the eye icon to see the link. 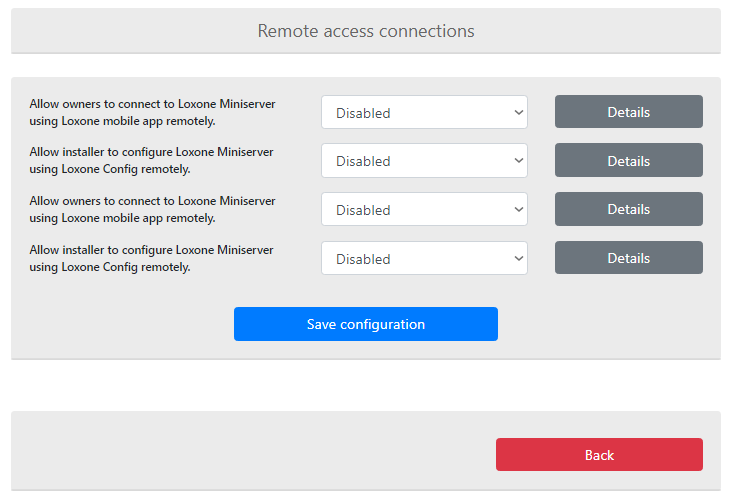 Now you can start using your remote access by opening the stored link in your browser or and logging in with your username and password or use it with your your favorite configuration tool: Loxone Config, Gira Experte, Gira Project Assistant. You can also set-up remote access for your client, so he can control his home, when he’s not at home. This way the client will be able to connect with his mobile app to his Smart Home remotely. 5.Click the drop-down menu, next to the Description “Allow owners to connect to the Smart Home mobile app remotely”. Now the client can start using remote access by opening the stored link in his browser and logging in with his username and password. 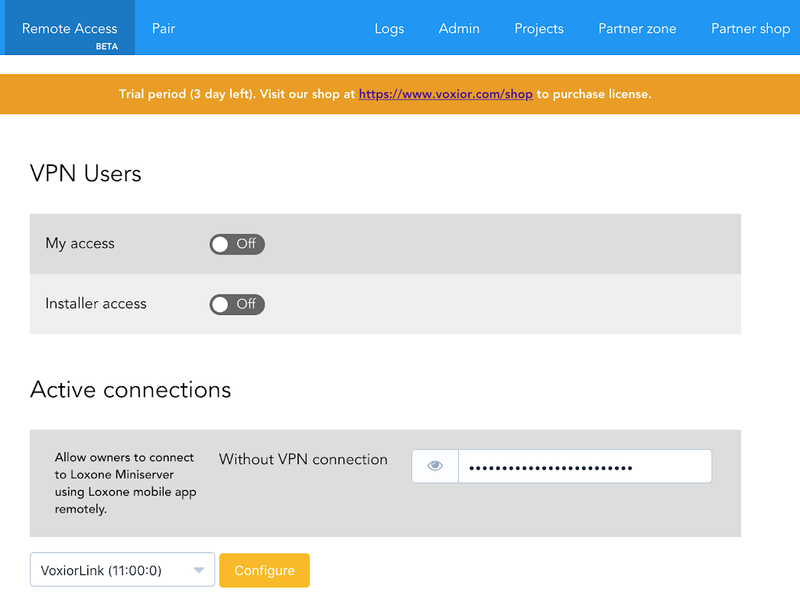 Your client can now access your home from anywhere without port forwarding! Would you like to know more about the Voxior Installer Dashboard?